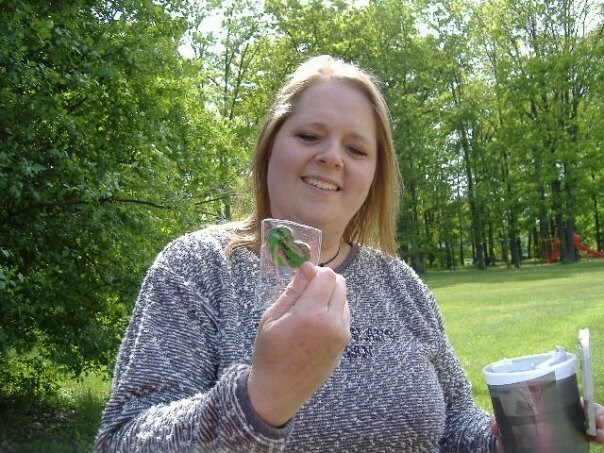 (TB2FXRG) Loved Your Cache Heart Geocoin - Todies wild ride: Ride safely!!!! STOLEN???? Todies wild ride: Ride safely!!!! STOLEN???? Use TB2FXRG to reference this item. To sread bike awareness in the world! I hope this coin will travel far away to spread its message, and in the end of 2009 to come to Greece, in Rhodes island, at the cache named "Rodini" (GC12VJQ). Please help it travel! On August 12, 2008, Tod was riding a motorcycle when he was killed in an accident caused by a left turning vehicle. Tod was the third member of Team Rod & Tod w/KAboom. This geocoin, the "Loved your cache, green heart geocoin", is released in his memory and in memory of all motorcyclists killed on the road. The coin was probably stolen with the whole cache! Please if you find it send an email to the owner of the coin or log it and drop it to an other cache to continue its travels! Thank you. Gallery Images related to Todies wild ride: Ride safely!!!! STOLEN???? Todie's wild ride will be riding with Clyde on a trip to the south. Stay tuned. This was my very first time to Geocache and I had so much fun!! It was the best time ever! I found the coin Loved your chche heart geocoin and will be placing it in a new cache in a week or two. I hope to get it a few miles away so it can travel.